Laboratory Centrifuge Maintenance and Repairs. A laboratory Centrifuge is an equipment used in the laboratory, which spins liquid samples at great speeds. There are many different kinds of centrifuges which largely depends on the type of samples you wish to use. It works on the principle of sedimentation. Thus here the substances with different densities are separated. It is a very efficient piece of equipment and usually does not require a lot of attention in terms of repairs or fixing. But like very equipment it does demand that you use it properly and make sure it is shut down properly after each use. At times rotor failures do occur which can also get quite dangerous for the operator present. Thus to reduce the risk of such unexpected failures, the manufacturers recommend periodic maintenance of the equipment and have proper procedures laid out for that. Ideally the initial calibration of a centrifuge should be performed by a qualified service technician. In an ideal world it would be best if maintenance procedures were carried out on a daily basis, monthly basis as well as annually. Here is a brief guide as one could go about performing such maintenance routines. It is a good practice to wipe the inside of the bowl with a disinfectant solution and rinse it thoroughly. The operator should be alert enough to never use the centrifuge device if it is hot, or if unusual vibrations or noises occur, or if deterioration (of parts) is detected. In such a case it would be advisable to contact a qualified service technician. As a monthly routine maintaining your laboratory centrifuge you should clean the centrifuge housing, rotor chamber, rotors and rotor accessories with a neutral cleaning agent. The centrifuge and the accessories should be cleaned with soap water or a mild cleaning agent with a pH value ranging from 6 to 8. In addition to which you should also clean plastic and non-metal parts with a fresh solution. It is necessary to get the centrifuge serviced by a qualified service technician who must ensure that the unit is operating safely and properly. It is usually best to contact the manufacturer or the supplier in order to get hold of a technician. The service should include cleaning condenser coils, fans screens and filter. It should also include checking the centrifuge brushes, bearings, timer, temperature and speed as well as the electrical integrity. Ideally the service technician must issue an inspection certificate indicating compliance with safety and proper operations. The responsibility of regular maintenance of the laboratory centrifuge usually likes on the shoulders of the laboratory technician or operator. It is a good idea to set a reminders either on your phone or computer calendar so that you don’t forget these important dates. If during the operation of the centrifuge any liquids from the tube sample spills on the centrifuge device itself then this should be taken care of immediately. Thus to avoid an chances of corrosion or damage such spills should immediately wiped off. In addition to which it should also be allowed to dry thoroughly. Optionally you can also oil the aluminium rotors and buckets though make sure it is dry first. Since a damaged or cracked sample tube can easily deteriorate inside the centrifuge while in use and cause a lot of damage. And the most important of all, make sure you replace or repair any damage parts. So the next time you come across someone asking as to what is equipment maintenance you will surely be in a good position to spurt out a quick answer. There are many different factors that you need to consider when investing in a laboratory centrifuge. This small brief may have answered your questions as to what is a centrifuge used for in a lab; but it does not mention how to use a centrifuge or even what is the purchasing procedure of a centrifuge. In general a laboratory centrifuge is used only by certified operators who are fully aware of the risks involved in operating the centrifuge device and thus can take the appropriate precautions. That said it is not hard to operate a laboratory centrifuge though there are several facts that you should be aware off, but I digress. 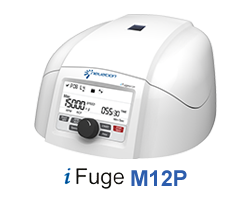 It is vital that you know the capacity of the centrifuge prior to buying it since the centrifuge is then governed by those limitations. There are a limited number of sample tubes that can he placed inside a centrifuge for one given run. Thus you need to make sure you know how many sample tubes you would generally require to place in the centrifuge at a time. In general the maximum sample tubes that the centrifuge can hold in one run is called the capacity. There are centrifuge rotors that can spin 18 to 24 1.5 ml to 2.0 ml tubes. There may be times when you will have the need to use hazardous materials as sample inside the test tubes. The basic instinct while using hazardous substances is to be wary of it. With the centrifuge devices there are changes the tube may break while handling or transporting. 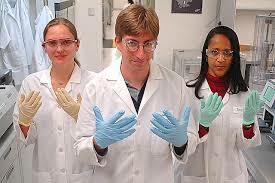 Such an incident could cause the entire laboratory to be contaminated. Additionally it is a good idea to make sure that the centrifuge device has as auto shut down feature if the lid is opened. The rotor lid are at times made from plastic or metal. Plastic lids can be transparent and prevent corrosion while the metallic ones have the advantage of being stronger and thus don’t break easily. A laboratory centrifuge is used day in and day out in a laboratory and hence can take its toll on an operator. This can very easily be prevented by making sure that the laboratory centrifuge selected at easy to operate. A device that is easy to use and operate is bound to help improve the performance of the operator who is then less likely to make mistakes. A centrifuge device which have feature where the rotors are interchangeable. It is important to check the spin speed. Revolutions per minute of the centrifuge will vary and hence the speed requirements of your applications should be taken into account. Furthermore the programmability of the centrifuge should be checked and made sure that it meets your individual requirements. You also have a choice to make between a refrigerated and a non-refrigerated one. The interior of the refrigerated on will help to protect the sample from any damage caused due to heat. Check the tubes as well which could be either plastic or glass. Also take the dimensions of the tube into consideration since some centrifuges have tubes will small capacity that is not suitable for all experiements. A centrifuge with a brushless motor would be virtually maintenance free and thus is an ideal option for just about any laboratory.And if a stainless steel bowl would be used, it will ensure that it can easily clean out. Centrifuges that consist of a digital display showing status, time, speed and RCF(g) have a greater advantage again. It is important to make sure you always look for a centrifuge with the latest technology. Usually good quality centrifuges that have the advanced technology are more accurate and better throughput. Opting for branded centrifuges can go a long way in providing peace of mind and good quality. Whether it is refrigerated or non-refrigerated. Dimensions of the tubes themselves. Hermetically sealable lids on rotor or buckets. 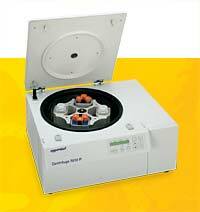 A Laboratory Centrifuge is a very common laboratory equipment which is driven by a motor. It spins the liquid samples placed inside it (the centrifuge) at very high speeds. The Laboratory Centrifuges are available in many different types and mainly depend on the size and sample capacity that is required. it is a piece of equipment that utilizes the principle of Centrifugal force. Centrifugal force is an outward pushing force felt by the bodies moving in a circular motion. The fact of the matter is that there is no outward force acting on body and thus this force (centrifugal force) is also known as a fictitious force. This force generated is as a result of the combined effect of inertia and an inward pushing external force. The centrifugal force only comes into play when the rotating objects are observed from the rotating of reference, an accelerating and therefore non-inertial frame of reference in the Newton’s laws of motion do not hold. This force can be explained with a quick example of a child on a merry go round. When the merry go round is rotating there is no real outward force but the child present on the merry go round needs to exert a force to prevent from falling off. Thus greater the speed of rotation, the greater is the outward force. The way this works is by creating a centrifugal force within the centrifuge by spinning the sample around a gravitational axis. This causes force within the mixture also known as G-forces. The separation process is influenced by the speed of rotation. Once the mixture has been separated it can analysed and tested further. There are many different types of laboratory centrifuges and each device has a specific use. Thus it is important to match the device with the application. One should always use the right tool for the job; as the saying goes — Half the job is done when you pick the right tool. These devices are used from small tubes from about 0.2 ml to 2.0 ml (micro tubes). There are usually compact in design and have a small footprint. These devices are mainly used for clinical applications likes blood collection tubes and are low speed devices. These devices can be used for a broader range of tube sizes and have a high variability and bigger footprint. In addition to which there are centrifuges which have additional features like refrigeration. This is mainly for to maintain the proper temperature of the samples. Laboratory Centrifuges are mainly used for testing liquids and other substances. This includes substances like blood and other toxic material as well. They can be used for separating substances of varying densities. In addition to which they are also used for removing chylomicrons. Some of the many uses includes steroid hormone assays, separating lipoprotein fractions for HDL, LDL and VLDL. 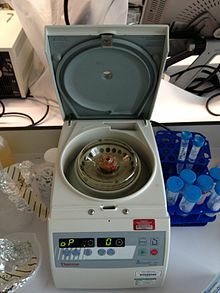 However there are many uses of a centrifuge in a laboratory. It can be used in science and medical laboratories to separate proteins and chemicals by applying the centrifugal force to the container (as we discussed earlier). The process separates substances of different densities. Thus if we were to use blood as our sample, it would separate the plasma from the blood which is required for many different testing procedures. Furthermore blood banks also need them for the same reason. The laboratory centrifuges at the blood banks are specially designed in fact. They separate the blood and blood components from the whole blood like platelet, plasma, TBC and Crypectipitate. Some of the other uses of a laboratory centrifuge include testing urine samples. These test provide comprehensive results and help revel the virus resident in the specimen of the sick patient. Chemical companies have also found this device quite useful for chemical analysis. In fact the cosmetic industry makes extensive use of centrifuges devices. A laboratory centrifuge is a very versatile device that can utilize centrifugal force to separate substances of various different densities. Thus in places like Blood banks where they require to separate the various different components of the blood sample in order to process it further; a laboratory centrifuge equipment is very useful. That is just one process where a centrifuge comes in handy. Centrifuges devices are also accompanied with a cooling device to keep them cool if the type of samples being used require that. To top it all these devices are very easy to use. It is important to note that it should not be operated without proper training. There is an auto shut down feature which shuts down the centrifuge. However it is necessary to operate it properly. For example it is required that you place an another test tube with sample of equal volume opposite to your sample in order to balance the centrifuge device. Failure to do so could result in a mess. This is especially important when dealing with highly toxic substances. The laboratory centrifuge is a device which is driven by a motor This spins the liquid samples at high speeds in order to effect the separation. The speed of the laboratory centrifuge however varies as per the application of the device. For example a clinical centrifuge being used for blood collections tubes is a relatively slow speed device. It is important to note that the samples should be properly balanced. Since when there are spun at such great speeds even a slight imbalance can cause result in a large force imbalance. This could damage the centrifuge and even injure the operator in case of toxic substances. There are also high speed centrifuges available although the application of such centrifuges differ. It is important to consult a valid source for the necessary speed settings.